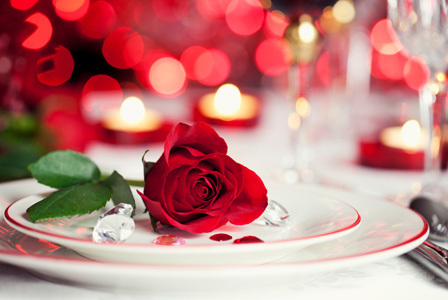 Valentine's Day in Italy is known as La Festa Degli Innamorati (the day of lovers). The tradition of Valentine's Day is said to date back to the Roman Empire when the day celebrated the Queen of Roman gods and goddesses, Juno, the Goddess of Woman and Marriage. Another legend says that the origin of Valentine's Day is credited to St. Valentine. He was a priest who defied the Roman emperor's order banning marriage during wartime but Valentine secretly married them. It is said that he was put to death on February 14th for this illegal activity and was later named a saint. 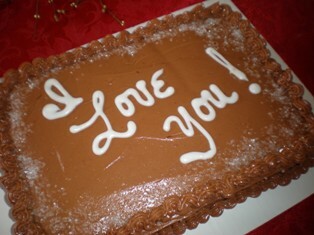 In Italy today, Valentine's Day is celebrated only between lovers and sweethearts. Italian give each other flowers, plan romantic dinners and present each other with chocolates. The Italian chocolate maker Perugina makes a special edition of their Baci (kisses) chocolate candies with a shiny red wrapper and a sweet red cherry and liquid center rather than their traditional hazelnut one. Inside the foil wrapper is a love note with a romantic quote. One tradition that has become popular in recent years is the act of attaching padlocks to bridges, railings and lampposts. A couple will write their initials on the padlock, lock it onto something in a public place and throw away the key. The action suggests that the couple will be together forever. This idea became popular after the release of the book "Ho voglio di te" (I want you) by Italian author Federico Moccia. In the story a young couple attach their padlock to Rome's ponte Milvio. This tradition led to thousands of padlocks appearing on the bridge, which then had to be removed as they became too heavy for the supports. It is now illegal to attach padlocks to Italian monuments and bridges but thousands more appear every year. Throughout Italy, festivals are held celebrating everything to do with love. Since 2004, Verona, known as the city of Romeo and Juliet, has been organizing a 4-day festival called "Verona in Love." In the center of the piazza, a giant red heart is painted on the street and heart-shaped lanterns line the city center. There are free concerts, heart-shaped balloons are given out, a love letter writing contest is held, and local restaurants offer romantic dinner specials. Another event is held in Terni in Umbria, where St. Valentine is the patron saint. Here the Eventi Valentiniani begins on February 1 for 6 weeks. The festival centers around chocolate which is sold throughout the city in all shapes, sizes and flavors. The life of St. Valentine is re-enacted in full costume in the streets and people visit the Basilica of St. Valentine where he is buried just outside of the city. 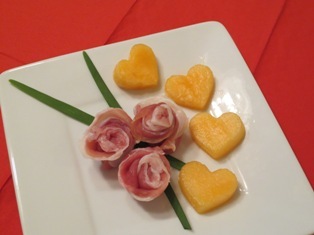 Choose from a selection of unique appetizers to begin your special dinner ... prosciutto roses withmelon hearts, porcini and cheese fondue, baked oysters, Parmesan palmiers or smoked salmon mousse. two hearts salad, spinach and strawberries, a Mediterranean salad with goat cheese hearts, or a refreshing springtime salad with asparagus and oranges. 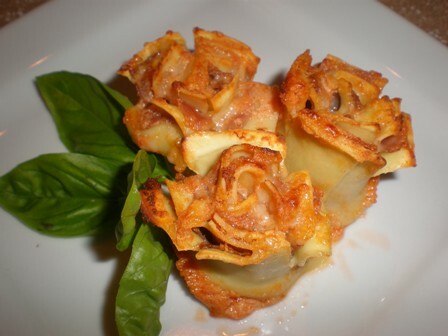 Pasta Roses are a unique pasta dish from the Emilia-Romagna region of Italy. 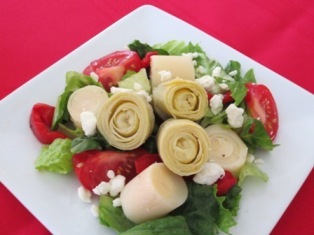 Sheets of fresh pasta are layered with prosciutto and cheese, then rolled up and cut to resemble roses. 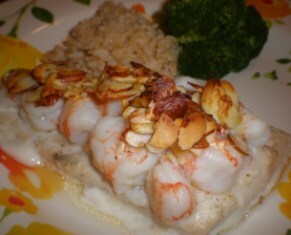 This is a wonderfully rich dish and you only need one lobster tail for 2 servings. The creamy sauce is comparable to the velvety texture of a lobster bisque. In this lasagna recipe, shrimp, scallops and crabmeat are layered with a white cheese sauce and a 3-cheese ricotta mixture to create a luscious rich and creamy lasagna. Indulge in a perfectly roasted rack of lamb topped with a flavorful crust of garlic, breadcrumbs, Parmesan cheese and parsley. Rose of Parma is a traditional roast from Parma in Emilia-Romagna. 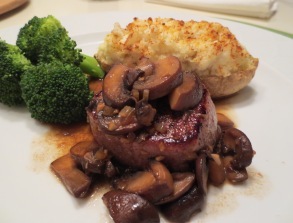 The pork or beef tenderloin is stuffed with Parmigiano-Reggiano and prosciutto and served for special occasions. Osso buco are thick slices of veal shank braised in a rich broth and topped with gremolata. The eating of the bone marrow in the shanks is a signature part of the dish. 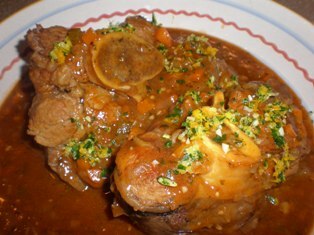 Ossobuco is traditionally served with risotto alla Milanese. Cornish hens make an elegant presentation for an intimate dinner for two or a small dinner party. 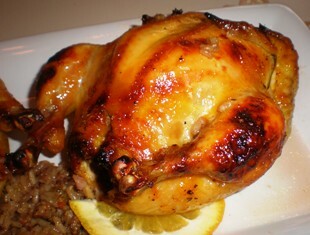 Each person gets a beautifully glazed bird with both white and dark meat. Chicken Francese is a delicious recipe made with boneless chicken breasts coated with flour and egg, sauteed until golden brown, and covered with a wine, lemon, and butter sauce. This is such an easy recipe and yet it's elegant enough to serve for a special occasion. You can use any firm, thick fish fillet, such as cod, halibut, barramundi, or sea bass in place of the grouper. Choose from a variety of dessert recipes for every skill level ,,, from easy cookie truffles and cheesecake strawberries to molten chcolate lava cakes and Chambord panna cotta. This chocolate cake recipe is a true chocolate lover's dream. It is a very flavorful moist dark chocolate cake to make for any type of celebration: Birthdays, graduations, anniversaries, Mother's Day, Valentine's Day, or family reunions. Add a special sentiment on top and bring a smile to someone's face. This recipe can be baked as a two-layer cake or a single layer sheet cake. 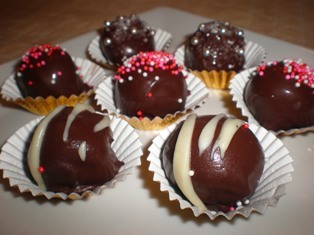 VALENTINE"S DAY TREATS TO GIVE AS GIFTS?